4-year-old Alfie lives with Cerebral Palsy which has also affected his vision. “His personality is infectious – he’s so loving and loves being held and cuddled. He loves music and singing and giggling,” she said. 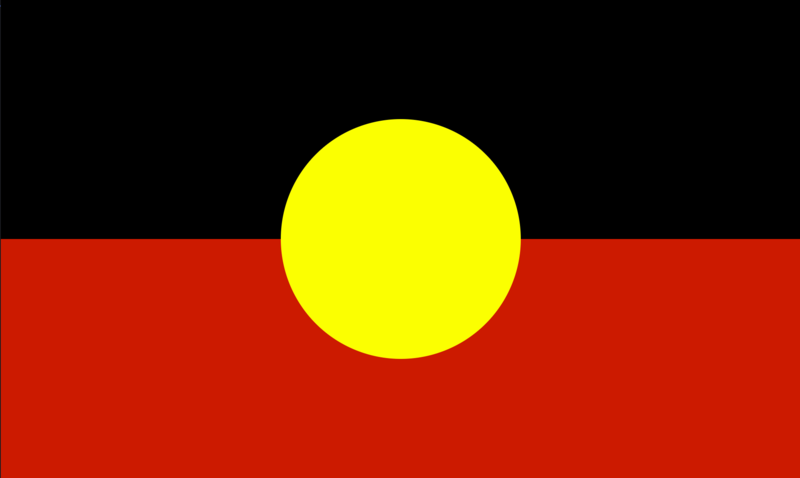 “Alfie loves playing with other children and his brother Charlie, but it is hard for him to join in. When we go out Alfie sits in a pram or uses his walker with supervision,” Laura said. On Saturday 1st September Alfie was presented with a special gift from the Sydney Cycling Club – His very own Freedom Wheels bike! 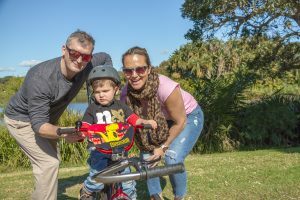 Sydney Cycling Club has chosen to help even more kids like Alfie ride when never thought possible by fundraising for Freedom Wheels at their annual Ride for a Reason. 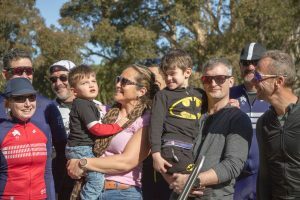 “Seeing Alfie being presented with his special bike was emotional for our members, as it was a validation of the ride and fundraising work that they did 12 months ago. 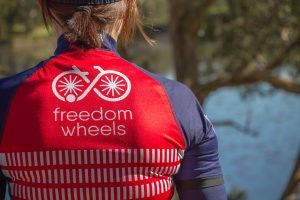 It also reinforces why we are supporting Freedom Wheels in this year’s Ride for a Reason. There are thirty kids on the waiting list for special bikes, so we want to fund as many of these as possible,” said Fran. Since receiving his Freedom Wheels bike Alfie has been building his confidence riding with brother Charlie. 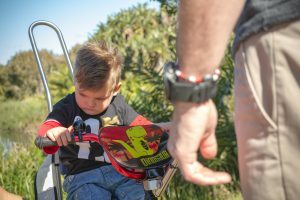 “The bike gives Alfie the opportunity to venture out of the house in something other than a pram. To be able to be outside having fun with his brother. From a Physio point of view, it moves his legs and helps separate them to alleviate the stiffness he has particularly in those areas. With time and practice, he will become used to it and we venture out further,” said Laura. 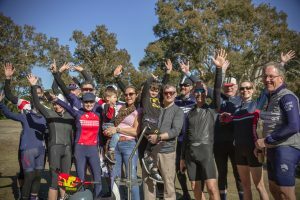 “We are so grateful to Sydney Cycling Club for their generosity! 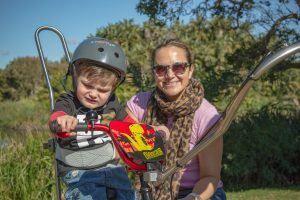 It’s a rite of passage for any young child… to be able to go out and have fun with friends on a bike,” Laura said.